Product Positioning Optimization | Resource Systems Group, Inc.
A packaged goods manufacturer was launching a new, premium product and sought to create a consumer-based prioritization of its communication strategy by identifying the top message combinations for its positioning. The manufacturer was constrained by a limited media budget and needed to maximize the ROI of its positioning efforts. RSG presented consumers with two varying descriptions of the same toothbrush. Each description varied both the content and number of claims and features shown. 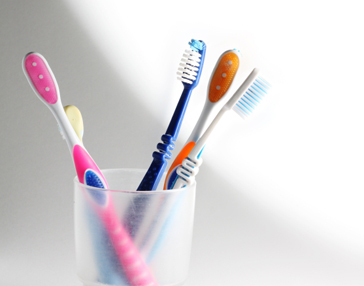 Consumers were asked to identify the toothbrush they most preferred to purchase. A series of descriptions were shown to each consumer, and supplemental diagnostics were asked to explain motivations of the choices made. RSG applied discrete choice modeling conjoint techniques to estimate the persuasiveness of each product claim and feature to motivate purchasing. TURF analysis was then used to identify combinations of product features and claims that reached the greatest audience. The analysis allowed the manufacturer to identify a specific combination of three messages to include on product packaging and its print advertising. The manufacturer gained confidence that the communication strategy was optimized to maximize its persuasive impact.